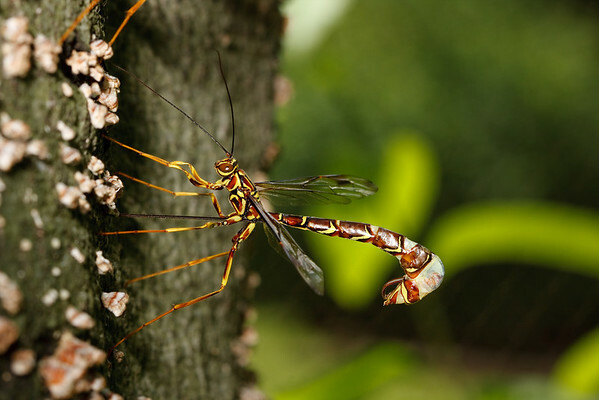 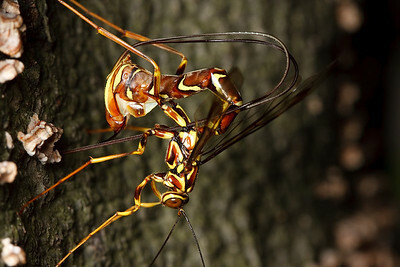 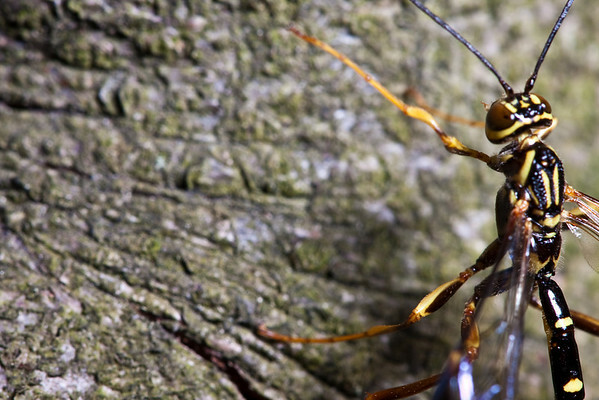 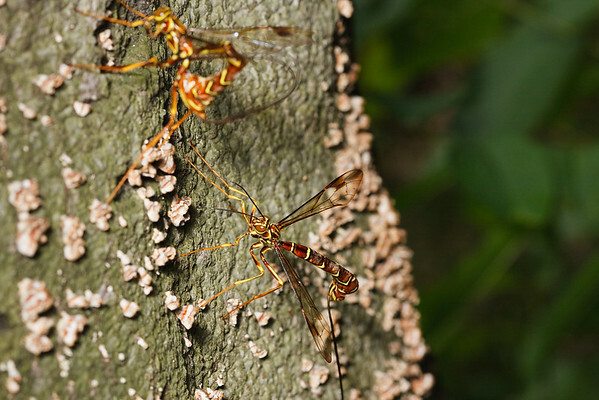 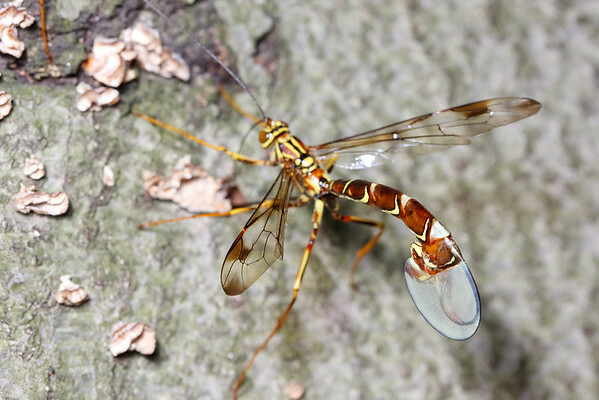 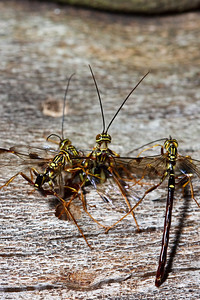 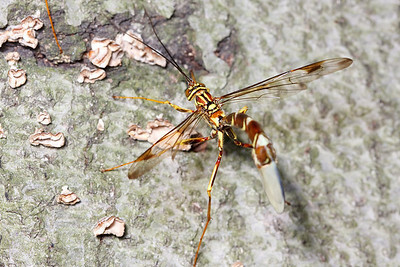 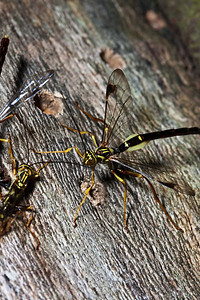 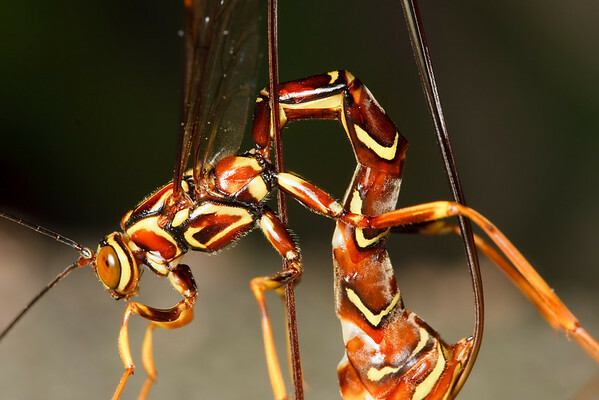 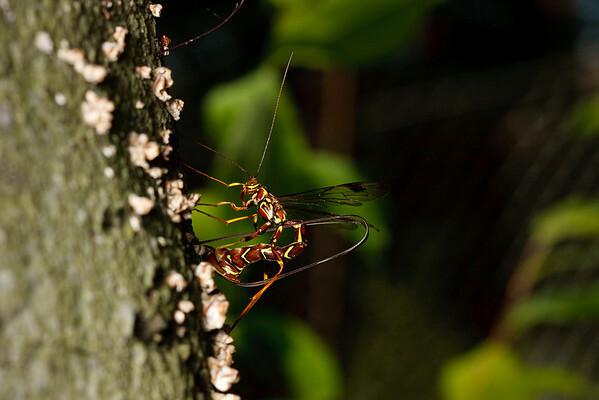 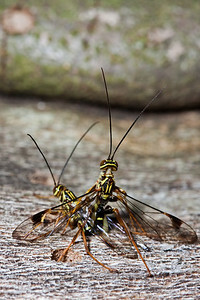 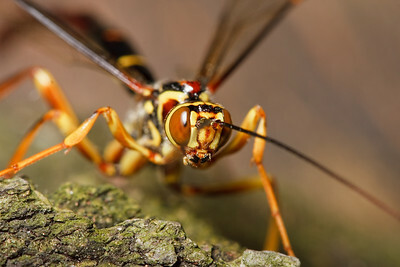 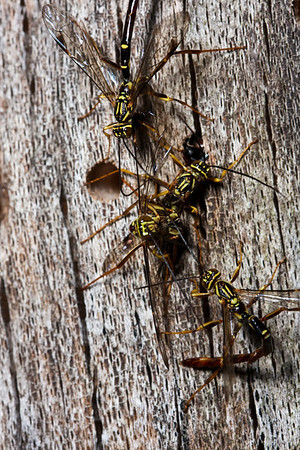 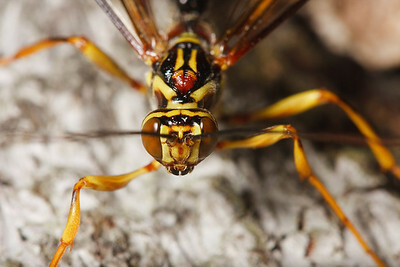 Four-inch-long female giant ichneumon wasps (Megarhyssa macrurus) drill into a tree to lay their eggs on larval wood wasps. 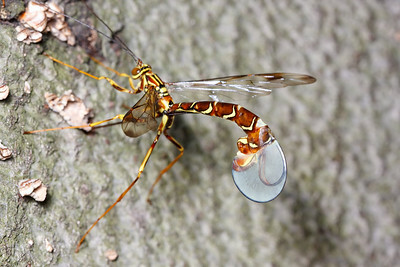 The egg hatches and the larval ichneumon devours its host over the course of the following year. 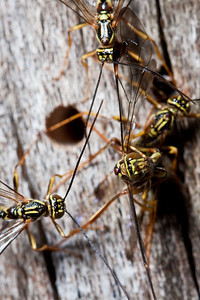 Males compete to mate with virgin females that have not yet left the tree. 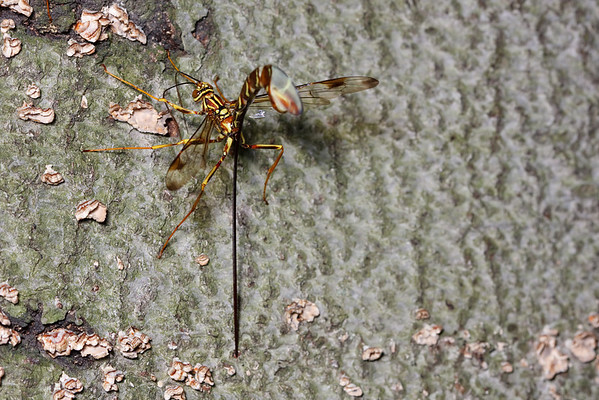 A male ichneumon wasp (Megarhyssa macrurus) searching a dead tree for females that have not yet emerged. 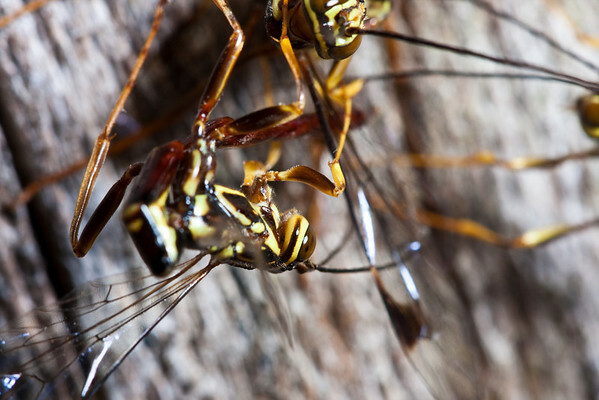 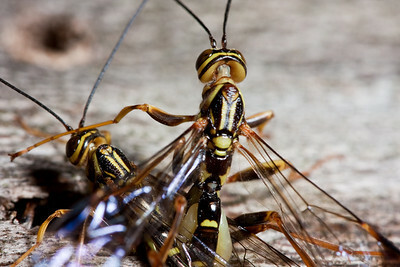 A female giant ichneumon wasp (Megarhyssa macrurus) withdrawing her ovipositor from a hole in a dead tree. 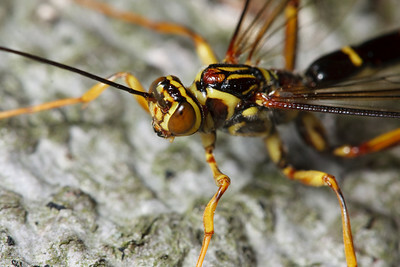 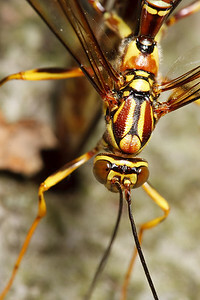 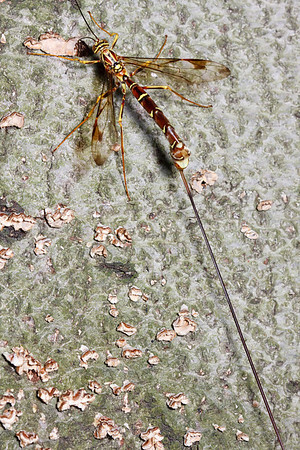 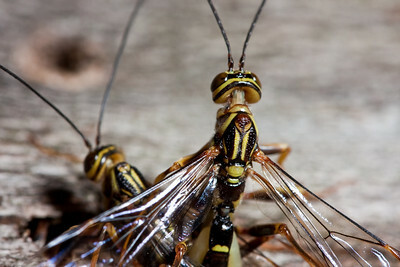 She laid an egg near the larva of a pigeon tremex (a wood-boring wasp); after it hatches, it will feed on the tremex, ultimately killing it before emerging from the tree next summer as an adult. 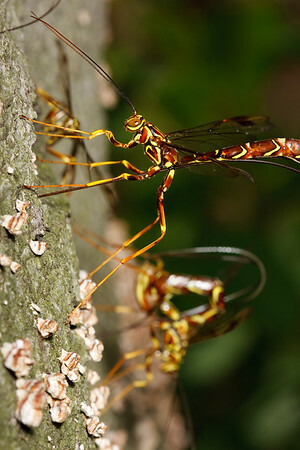 Female giant ichneumon wasps drill into a dead tree to lay their eggs near the larvae of the pigeon tremex wasp, the parasitic ichneumon's host for the next year.